How exciting! Your friend or loved one just asked if you'd show them the ropes on the slope this winter and you said yes. If the person in question happens to just be a local buddy who's just never gotten around to learning, then you may only be facing one manageable day of playing teacher. But if we're talking a friend who's planned to fly in from out of town—perhaps with a virgin pair of boots they just eagerly bought in tow in your ski bag —for the inaugural ski trip of their life, you've got your work cut out for you. I know firsthand how difficult it is to teach a friend or loved one to ski—you see, I’ve been both the student and the teacher in that situation within the past seven years. When I moved out to Colorado from the East Coast, I didn’t even really understand what skiing was—I’d never seen anyone do it, I’d never watched a ski movie, I had no friends that skied. My boyfriend at the time became so frustrated with my lack of progress that he handed me off to my friend. She was new to skiing herself and thankfully had the patience to get me down a green on a powder day without a freak out. Years later, I taught my sister how to ski. And I also taught one of my best friends from college how to ski. That didn’t go so well. We’re talking panic attacks, near-tear moments, and my friend lying flat on her back at the base area proclaiming she couldn’t get up. In that case, we both decided to cut our losses and my boyfriend (a ski patroller) snowmobiled her to a bar on the mountain so she could at least experience on-mountain drinking. Anyway, here are some tips on how to get through playing teacher on the mountain without either of you having a meltdown. 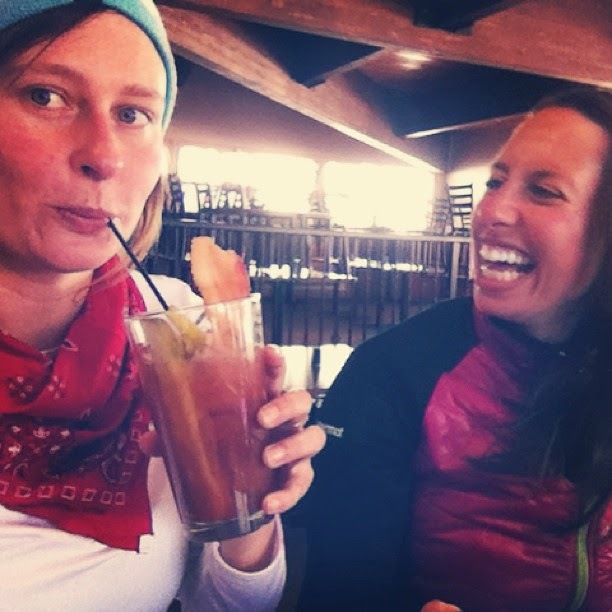 I promise, you’ll be able to remain friends/significant others by the time après ski rolls around. Oh, and if you’re wondering whether to put them on skis or a board, here are some thoughts on that subject. If you think you’re going to be having a normal ski day, getting tons of laps in, and cruising as fast as you like, you’re probably wrong. From the beginning, plan on not really skiing when you’re playing teacher. That way, you won’t be disappointed when you, in fact, don’t really end up skiing much. That said, everyone needs a moment of reprieve when the going gets tough. If you and your friend are getting on each other’s nerves and need a short break from one another, park him/her at an easy run that they’re comfortable with (or at the bar), and take a lap or two on one of your favorite runs nearby to decompress. Remember when you pizza pied your way down a green? Whether that was when you were three years old (lucky you!) or just a couple years back, recall how challenging it seemed to actually get a turn together, or to be comfortable with fast speeds. Empathize with your buddy—learning to ski as an adult is no piece of cake. As I learned to ski, my various teacher friends gave me some really helpful metaphors to wrap my mind around the moves. Pretend that you have to hold a penny between your shin and your ski boot. Keep your arms straight out in front of you as though you were about to throw a football to someone downhill. Think about each turn as a dance—like a bow to each side of you with your knees. Point is, come up with clever visuals to help them understand. Have your friend wait at the top of the run and watch you ski down it. Then stop and watch them ski down and offer helpful tips on their form. Next time, have them ski 15-20 feet behind you as you slowly turn down the run. 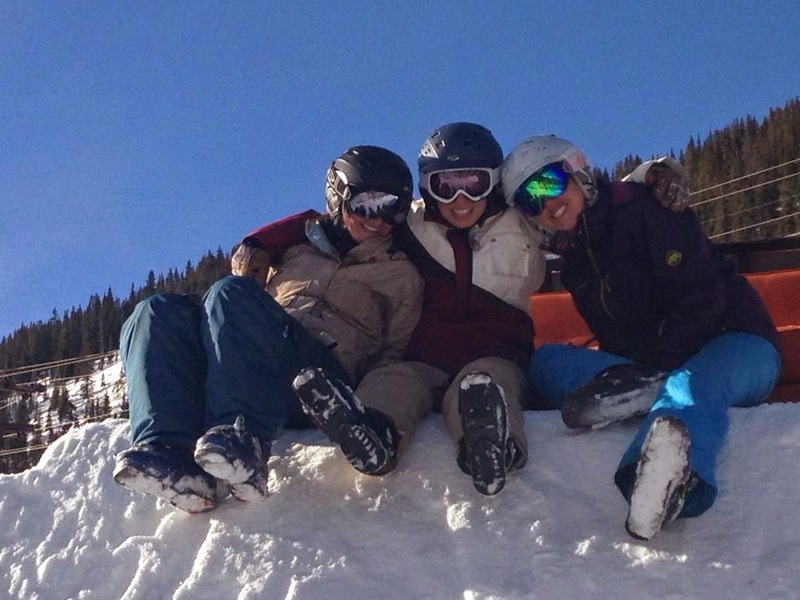 Do not force your friend to ski from 9am-4pm without breaks to get the most of their day. Your friend will be miserable—you both will be, in fact. Take plenty of breaks to refuel. If you’re getting nowhere and worried that your friendship may call it quits before the lifts do, tell your friend that it might be best if they take a class at the resort. Sometimes, this work is best left to the pros. You may get to a point when you realize that skiing and your friend are just not compatible—particularly if you were the one that insisted they try skiing to begin with. If your friend is having a very frustrating experience and has little or no desire to learn to ski or incorporate skiing into their life, it may be best to cut your losses. You’ll both be a lot happier when you’re laughing over beers, rather than at each other’s necks on the longest green you’ve ever experienced. Frustration may be expressed. Derogatory comments may be made. You may, at times, want to kill each other. At the beginning of the day and again, at the end of the day, remind each other that the things you said while playing instructor/student do not count.